Cubicle Fixture. Ever since its little brother got some attention as part of the "Intel TESTIT!2011" notebook testing pool, the HP Pavilion g7 Office notebook has been aching for its moment in the spotlight. For 499 Euro (RRP), Hewlett Packard is offering a 17.3" laptop with an AMD quad-core processor and Radeon HD 6470M graphics card. Does this inexpensive office notebook give you enough bang for your buck, or should you dish out for better performance? For smart savers. 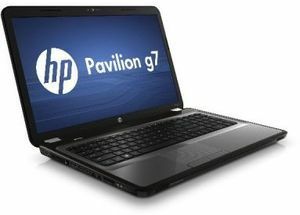 HP designs the Pavilion g7-1353eg according to the motto "plenty of hardware for a small price". The inexpensive multimedia notebook, price-tagged at just under EUR 500, not only has a quad core processor and two graphics chips, it also has a 750 GB HDD and a six GB DDR3 RAM. Who can resist such a bargain? 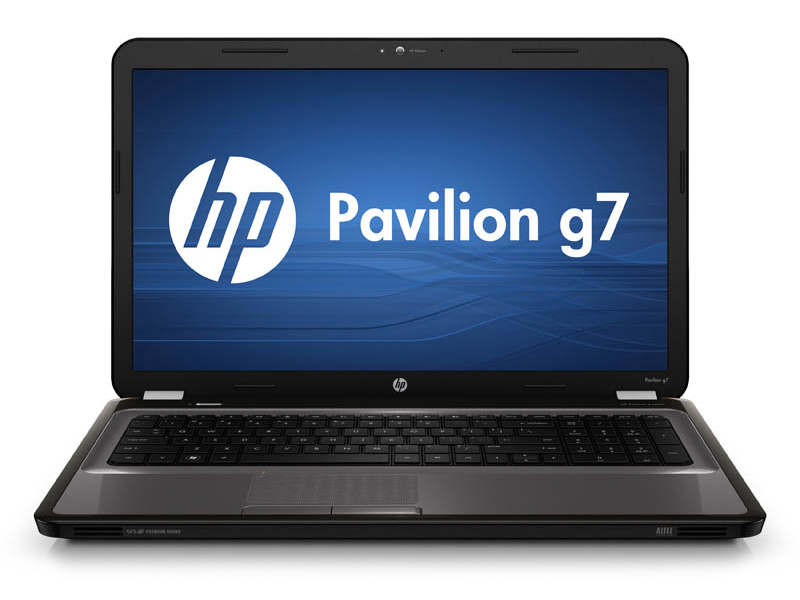 Otherwise, the HP Pavilion G7 is sufficiently well-equipped for general use. Audio is slightly above average for a notebook, especially for this price point, and maximum volume is loud enough and clear enough for general enjoyment. Those low-end components help make battery life on the HP Pavilion G7 to a =round three hours of WiFi surfing although that’s nothing special. HP has come out with a new range of laptops, the Pavilion G7-1300, a family of 17.3" notebooks designed to accompany you in your everyday life without ruining your savings.The HP Pavilion G7-1300 series has a low-budget chassis but is able to meet most people's basic computing needs. On the model we tested (G7-1355ef) you can even play a video game or two. Positive: Solid diagonal screen; quality development; a well-balanced formula; good price. Negative: Power of processor; not very impressive autonomy. AMD Radeon HD 6470M: Entry to middle class graphics card based on the Seymore XT codename featuring the UVD3 video processor.AMD Radeon HD 6540G2: Dual Graphics (asymmetrical CrossFire) combination of a dedicated Radeon HD 6450M or 6470M and a 6520G APU graphics card (in the processor core of the A-Series).AMD Radeon HD 6520G + HD 7450M Dual Graphics: Asymmetric Crossfire combination of the Radeon HD 6520G processor graphics card and a dedicated Radeon HD 7450M. The performance is only in some games better than the single graphic card and may suffer from micro stuttering.AMD Radeon HD 7450M: Entry to middle class graphics card based on the Seymore XT codename featuring the UVD3 video processor. » Further information can be found in our Comparison of Mobile Graphics Cards and the corresponding Benchmark List. 71.71%: This rating is bad. Most notebooks are better rated. This is not a recommendation for purchase.» Further information can be found in our Notebook Purchase Guide.